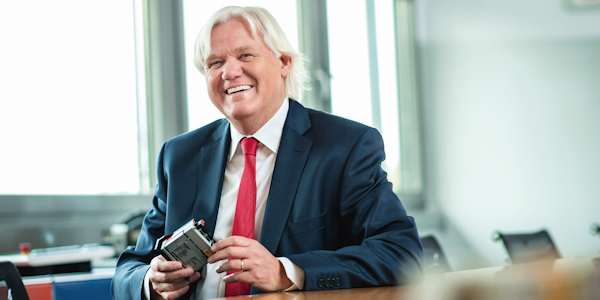 Beckhoff Automation generated global sales of 916 million Euro in 2018, a gain of 13 % on the previous year. This success can be credited in equal measure to innovative technological advances, greater production capacity, and expansion of the company’s sales network. Beckhoff is pursuing a clear-cut expansion strategy and invests continuously in extending its global sales network. As the managing owner explains: “Our goal is to grow by 15 % a year”. The company has enlarged its sales organisation in several countries, both by creating new branch offices and by boosting headcounts at existing locations. “Our new subsidiary in Taiwan has now started operating; we have set up Beckhoff Mexico; and we will incorporate our current Korean distributor to create Beckhoff South Korea during the first half of this year,” Hans Beckhoff adds. Beckhoff Automation is also set to take over ADL Embedded Solutions GmbH, headquartered in Siegen, Germany, on 1st April 2019. ADL is a specialist company well-known for producing deep embedded applications using motherboards and specially adapted peripherals. Working closely with its customers, it creates tailor-made, turnkey embedded solutions. For many years now it has based its projects on Beckhoff industrial motherboards, and with the acquisition of ADL by Beckhoff, this successful collaboration can progress to the next stage. Beckhoff currently has subsidiaries and representative offices in 38 countries worldwide. The company maintains a presence in 75 countries around the world through a network of distributors and its own sales companies. One area of technology with immense potential for the manufacturing industry is artificial intelligence, particularly in the context of machine learning – which is underscored by Hannover Messe’s lead theme of “Integrated Industry – Industrial Intelligence” in 2019. Beckhoff trains young people in a wide range of occupations to safeguard its future supply of talent. Since 2010, the company has also focused on providing practice-integrated degree programmes and, today, offers degrees in Mechatronics/Automation, Industrial Engineering, Digital Technologies, Product Service Engineering and Digital Logistics in association with the Bielefeld University of Applied Sciences at the latter’s Gütersloh Campus. For Beckhoff, these practice-oriented engineering degree programmes have proven to be a worthwhile model: Currently, there are 89 students employed by the company, and, to date, 129 young people have successfully completed degrees and now work in various departments throughout the company. To meet the need for onward qualifications following on from bachelor’s degrees, Beckhoff also supports extra-occupational master’s programmes in Applied Automation and Industrial Engineering, again offered by the Bielefeld University of Applied Sciences at its Gütersloh Campus.